One in three motorists will avoid their next service in a bid to save money, according to new research by Kwik Fit. 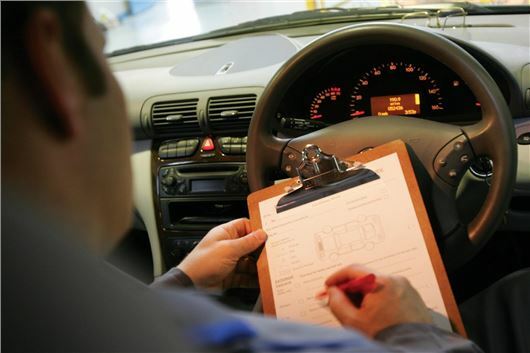 The study by one of Britain's largest servicing and repair organisations suggests that around 13 million of UK motorists (39 per cent) will use the MoT as the only kind of safety inspection, with the majority saying they're unable to afford the costs of an annual service. “It is very concerning to find that so many motorists are thinking of skipping their next service,” commented Roger Griggs, director of communications at Kwik Fit. “Tyres, brakes and lights are all crucial to road safety, so it is vitally important that they are regularly checked, and not just left until the MOT is due,” added Roger. According to Stuart James, director of the Independent Garage Association (IGA), the notion of saving money - by skipping an annual service - is a false economy and the result will be more MoT failures and costly repairs. “Drivers are not servicing their vehicles as they perceive the annual MoT as the only necessary service. However, if the only time a motor industry professional looks at a car is at its annual MoT then the failure rate is destined to increase and a reactive repair will leave the consumer vulnerable to higher bills,” Said Stuart James. Kwik Fit spoke to thousands of motorists during its study and found a number of worrying trends, with one in ten (10 per cent) confessing to ‘never’ checking their tyres. The research also showed that nearly one in seven (15 per cent) admitted to experiencing a problem with their brakes but are not actively looking to repair it. Drivers in the South West are the most likely to skip their next service (45 per cent) while motorists in Scotland are shown to be the most prudent, with 22 per cent saying they’ll skip their next service. I will do my own service, An oil and filter change with Morris C Three, Safety check tyres, brakes, erc. New Bosch windscreen wipers from europarts for winter and lubriction of hinges, etc. I do my own servicing too with genuine parts were possible. I know i can do a far better job than the main dealer and it costs a third of the dealer price. The last time the Fiat dealer did my service they fitted the wrong sparkplugs but charged me the price of the considerably more expensive correct plugs. Admittedly Services can seem a little expensive but I look at them as a pre MOT so if things are spotted on the service i can get them all repaired and the car will pass it's upcoming MOT no problems!